Finally discover a natural way to treat & recover from adrenal gland exhaustion! 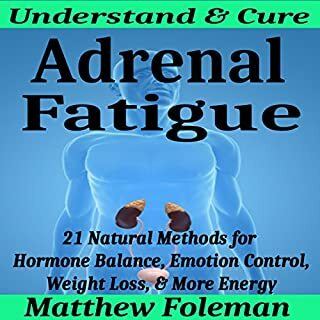 This book contains proven steps and strategies on how to treat your tired adrenal glands and recover at home and includes everything else you need to know about adrenal fatigue. 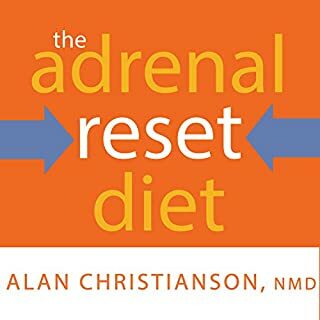 You’ll also discover what exactly causes exhausted adrenals and how your day-to-day habits and diet overwork your adrenal glands. Most relaxation techniques focus on either soothing the body or settling the mind - and only acheive moderate results. Dr. Mark Hyman's approach helps you to address the mind and body at once to achieve a state that he calls "ultracalm". In UltraCalm, this best-selling author presents his simple, powerful method for generating a peaceful and harmonious state in the body-mind-one that allows the body's natural healing intelligence to work at it's most healing level. A Yale-trained, board-certified family physician with a specialty in women's health and obstetrics delivers a proven 28-day program to heal overwhelmed, overloaded systems and prevent and reverse the myriad of symptoms affecting the vast majority of women today. Weight gain, fatigue, brain fog, hormonal imbalances, and autoimmune conditions - for years health practitioners have commonly viewed each as an individual health problem resulting from a patient's genetic bad luck, poor lifestyle choices, or lack of willpower. Patients, too, have turned to different doctors to alleviate their specific symptoms: an endocrinologist for a thyroid problem; a gynecologist for hormonal issues; an internist for weight, diabetes, and high blood pressure; a rheumatologist for joint problems, and even therapists or psychologists. Two of the systems most affected are the adrenal system and the thyroid, which control mood, hormones, inflammation, immunity, energy, weight, willpower, blood sugar balance, cholesterol, sleep, and a host of other bodily functions. When these systems become overwhelmed, they lead to symptoms that can develop into full-blown illnesses, including diabetes, hypertension, osteoporosis, and heart disease - all of which have medically provable origins in SOS. 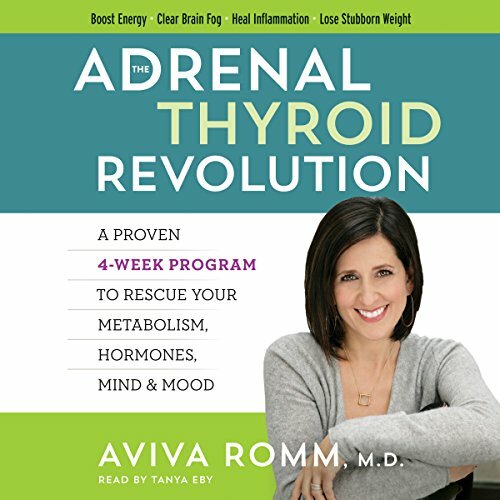 The Adrenal Thyroid Revolution explains SOS and how it impacts our bodies and can lead to illness and, more importantly, offers a drug-free cure developed through Dr. Romm's research and clinical work with tens of thousands of patients. In as little as two weeks, you can lose excess weight, discover increased energy, improve sleep, and feel better. With The Adrenal Thyroid Revolution, you can rescue your metabolism, hormones, mind, and mood - and achieve long-lasting health. I'm a holistic OB/GYN and see many women who are sick and tired of being sick and tired. Dr. Romm's book provides encouragement that life can be better along with clear protocols to help you achieve wholeness. I definitely recommend this book and welcome the material to improve my own health. I liked the approach of this book - take charge of your health through self care by addressing root causes - including nutrition, stress, and self kindness. 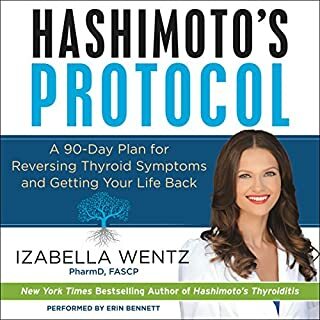 I have already implemented many simple but impactful steps to improve my mental and physical well being and I have a brighter outlook - this after being diagnosed with hypothyroidism in my teens and battling brain fog, irritability, and fatigue for many years. I will say that the narrator is clear and concise but slightly robotic. I got used to it through. For those who said they couldn't get to the enhancement: it's available on the desktop version of audible.com. Log in, go to your library and check under the book title for the pdf. The enhancement is a GREAT recap of many topics she covered in the book and really helps with plan execution. Here are the instructions. You have to use the desktop audible, and it's not easy to find- but it's there! Go to "your Library" on the Audible desktop site. (On Android phone in my chrome app, I have also found I can click the check box "request desktop site" by clicking in the right hand corner for drop down options). Find the audiobook that contains a PDF in the "Title" column and click PDF. It's one of those theories that everything is toxic, from plastic bottles to none organic foods. It's really extreme and I'm sure anyone can get healthier by eliminating all toxins and eating all natural, all organic, self cooked foods without knowing any theory, so the book is pretty useless to me. There's quizzes you take and it's like if you are ever tired and overworked, you have a health issue... you are intoxicated or have an unknown thyroid problem. Author refers to the enhancement section of the book in each chapter, multiple times. This portion of the book is not available with Audible format which makes the book useless to follow. I haven't started the diet portion of this program yet but I'm excited to finally have some answers to some questions I've been having about my health for years. 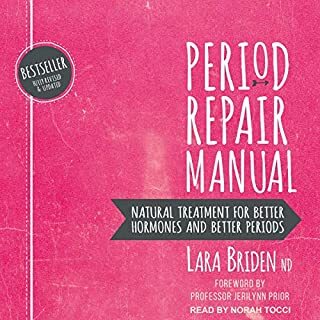 It took my awhile to figure out that if you want to look at the "enhanced version" you have to go onto the audible website and download the pdf document listed below the book in your library. It's a requirement for the book to make any sense, otherwise there are huge gaps. Hopefully this will make a difference for me and the women close to me that have been having many of the issues described. I'm very interested in this subject, and the other has some good information. I think this book would be better served in hard copy though. Without Enhancements this book is a waste. 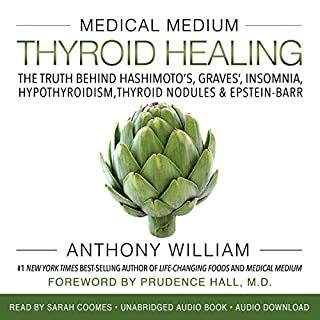 What would have made The Adrenal Thyroid Revolution better? If the enhancements that are mentioned repeatedly were available this book would truly help many. But without it, it is a waste of time. Great information but it is designed to teach people and then doesn't give actual information needed to change to health. Boring narrator. There is good information in the book but found myself not being able to listen for long due to monotone reader. 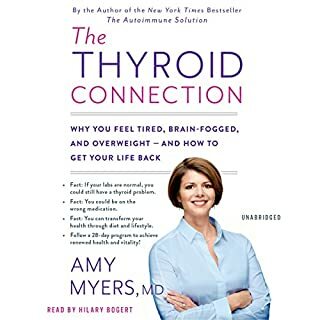 The title of this book gives the impression that there is a break through for thyroid malfunction. It is not until you get towards the end chapters that you realise she has no alternative method of management and it is recommended to remain on the medication you are currently prescribed.... l bought the book so l might find an alternative method of managing my thyroid problem which is suggested by the title. This is a book on lifestyle.... in fact it’s a book of words but of little information. No light bulb moment, it's was an explosion! Loved, loved, loved this book. It was as though Aviva was talking directly to me. Every woman over 30 yrs needs to read (listen to) this book. I was diagnosed with Hashimoto's 13 yrs ago and no 'professional' once told me that the disease could be reversible! Over the past year I have read over one hundred books relating to health and wellness. This is one of the best books I have read, it is thorough, easy to read and has a heap of great resources in the pdf. I highly recommend this book, for everyone, not just those who have a health concern.